Charlie was born and raised in Mobile, AL where he graduated from UMS-Wright Preparatory School in 2000. He graduated from Hampden-Sydney College with a Bachelor of Arts degree in managerial economics. Following graduation, Charlie was hired by RBC Bank in Charlotte, North Carolina to work in their builder finance department. Two years later, he earned his property and casualty insurance license and began working for Molton, Allen and Williams Insurance Company in Birmingham, Alabama and later Pensacola, Florida. In 2008, Charlie obtained his real estate license and joined Nathan Cox and Bellator Real Estate and Development Inc. focusing on residential new construction and custom built homes in Baldwin County. 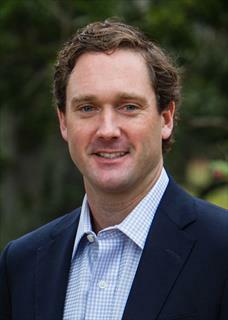 He earned his broker’s license in August of 2011 and is currently the broker for Bellator’s Spanish Fort office. Charlie was recently named Bellator's Vice President of New Construction Sales, and he is a top producer as the leader of The Dodson Team with his brother, Jim Dodson. Charlie married Natalie Franklin of Mobile in August of 2008 and they were blessed with daughter Sally on 11/11/11. The Dodsons are members of Ashland Place United Methodist Church in Mobile. Charlie, when not at work, enjoys playing golf and has been competing in Triathlons for the past seven years.